The Foster family is enjoying all that GSAL has to offer with children in Rose Court, Junior School, Senior School and the Sixth Form! 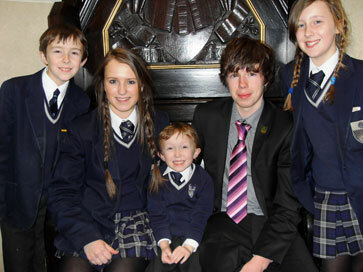 The family of five, whose ages range from five to 16, currently spans the school from Y1 to the Lower Sixth. Sixteen-year-old Andrew is studying for his AS levels, while Rachel (15) has just started her GCSE studies in Y10 and Sally (12) is in Y8. Moving up through the ranks is 10-year-old George in Y5 at Junior School and David (5), who is in Y1 at Rose Court.